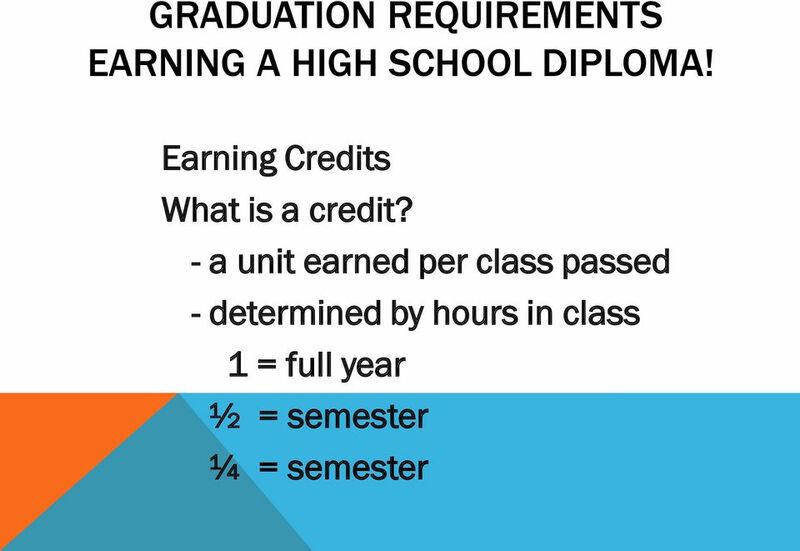 Download "GRADUATION REQUIREMENTS EARNING A HIGH SCHOOL DIPLOMA!" 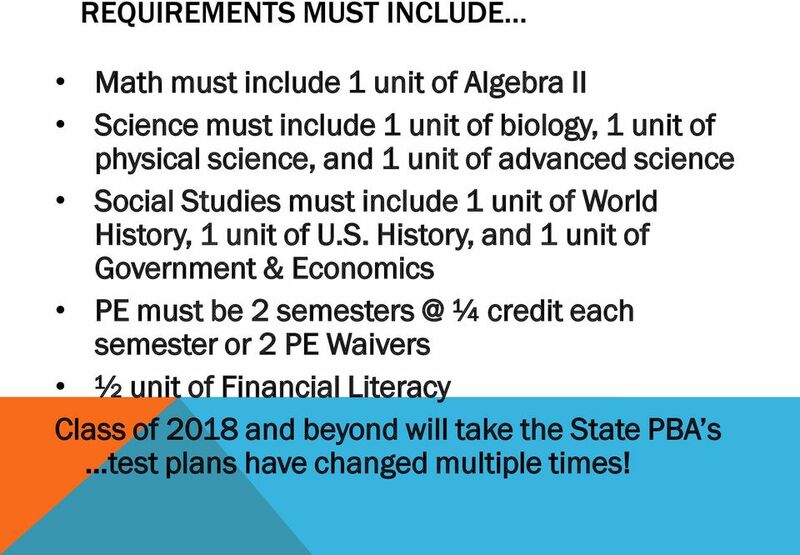 4 REQUIREMENTS MUST INCLUDE Math must include 1 unit of Algebra II Science must include 1 unit of biology, 1 unit of physical science, and 1 unit of advanced science Social Studies must include 1 unit of World History, 1 unit of U.S. History, and 1 unit of Government & Economics PE must be 2 ¼ credit each semester or 2 PE Waivers ½ unit of Financial Literacy Class of 2018 and beyond will take the State PBA s test plans have changed multiple times! 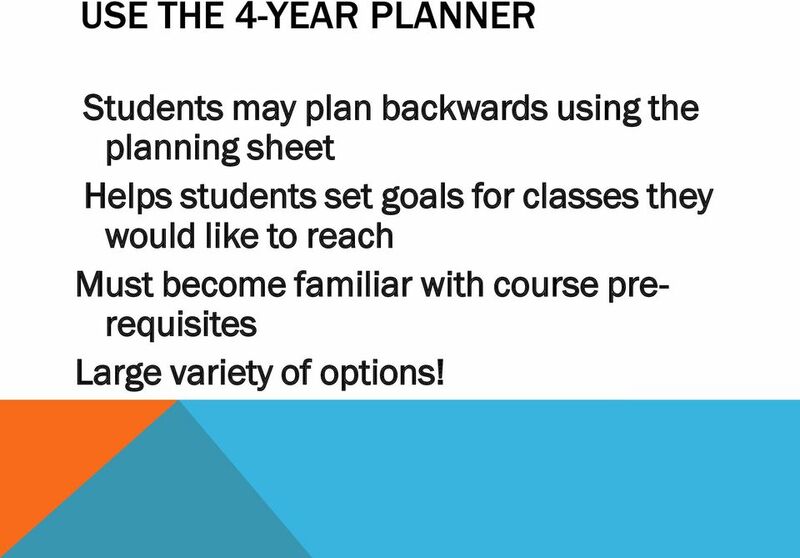 5 USE THE 4-YEAR PLANNER Students may plan backwards using the planning sheet Helps students set goals for classes they would like to reach Must become familiar with course prerequisites Large variety of options! 8 WHAT LEVEL OF EACH SUBJECT? 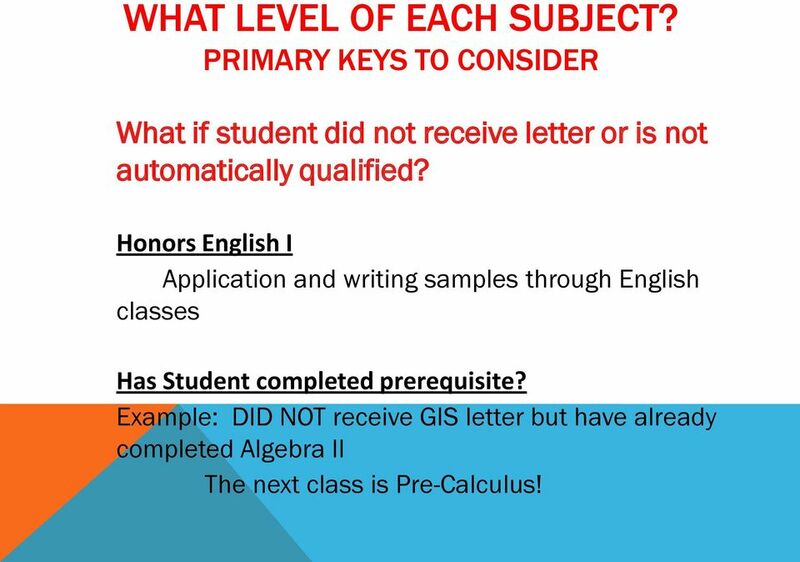 PRIMARY KEYS TO CONSIDER What if student did not receive letter or is not automatically qualified? Honors English I Application and writing samples through English classes Has Student completed prerequisite? Example: DID NOT receive GIS letter but have already completed Algebra II The next class is Pre-Calculus! 9 WHAT S BETTER? Get A s in easy classes? 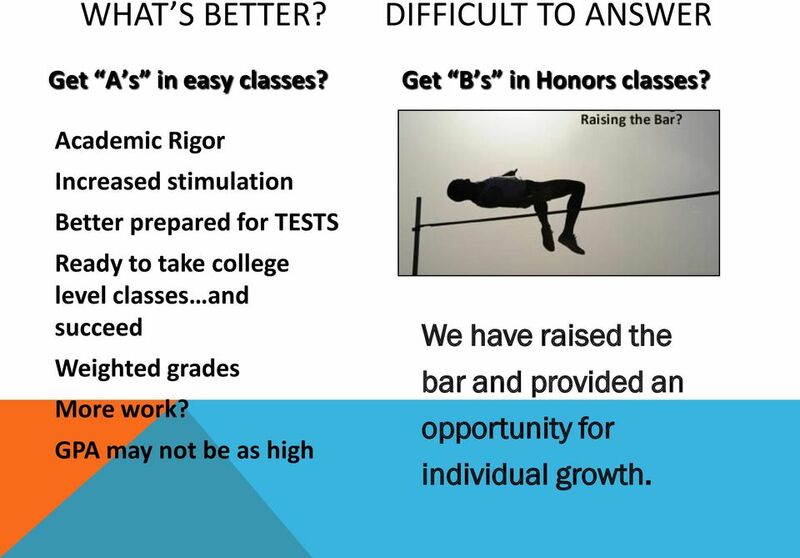 Academic Rigor Increased stimulation Better prepared for TESTS Ready to take college level classes and succeed Weighted grades More work? 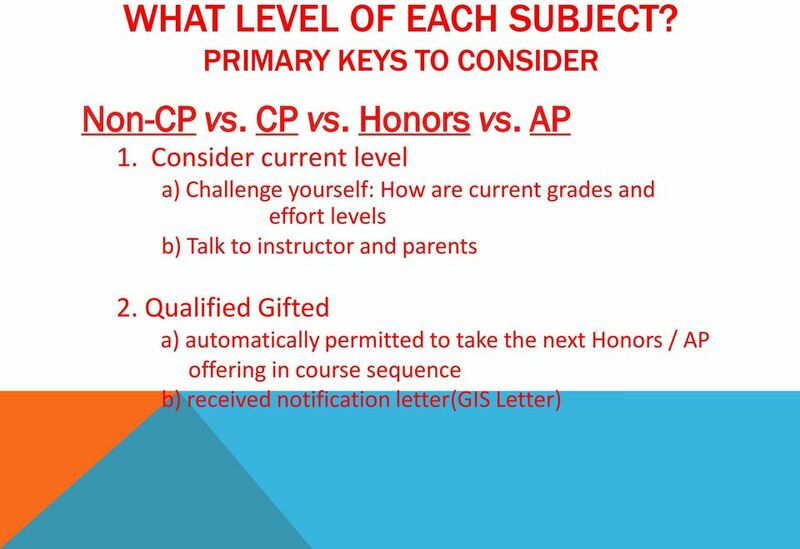 GPA may not be as high DIFFICULT TO ANSWER Get B s in Honors classes? We have raised the bar and provided an opportunity for individual growth. 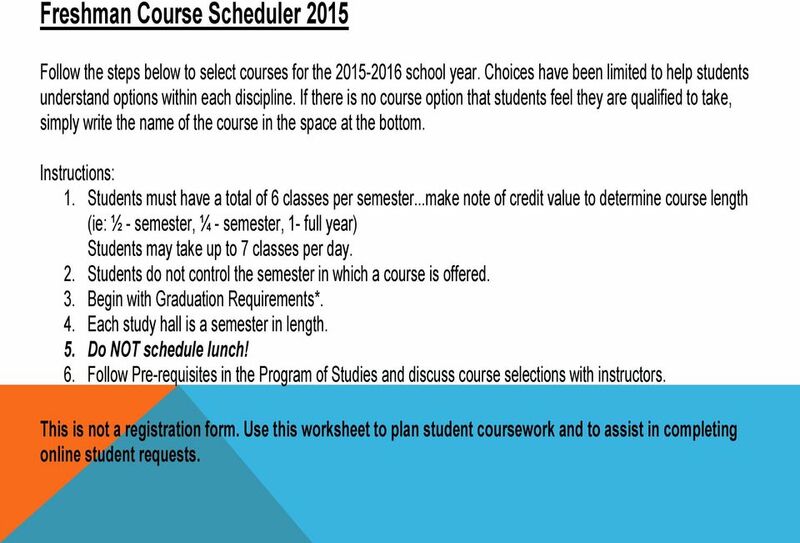 11 Freshman Course Scheduler 2015 Follow the steps below to select courses for the school year. Choices have been limited to help students understand options within each discipline. If there is no course option that students feel they are qualified to take, simply write the name of the course in the space at the bottom. Instructions: 1. 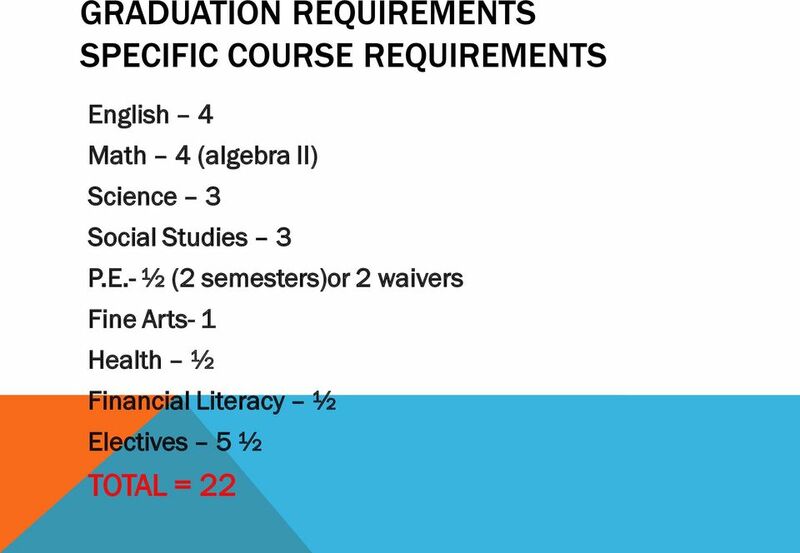 Students must have a total of 6 classes per semester...make note of credit value to determine course length (ie: ½ - semester, ¼ - semester, 1- full year) Students may take up to 7 classes per day. 2. Students do not control the semester in which a course is offered. 3. Begin with Graduation Requirements*. 4. Each study hall is a semester in length. 5. Do NOT schedule lunch! 6. Follow Pre-requisites in the Program of Studies and discuss course selections with instructors. This is not a registration form. Use this worksheet to plan student coursework and to assist in completing online student requests. 13 SOME FRESHMAN NEEDS! 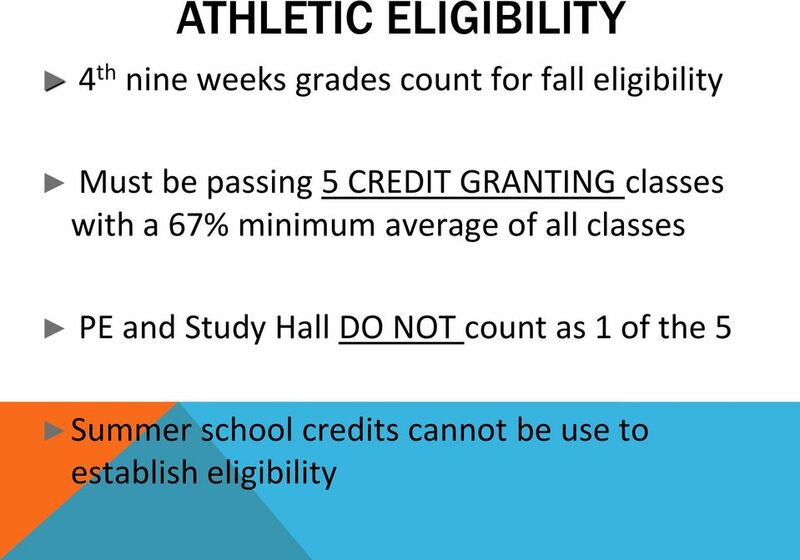 1) Have a plan for PE.waivers or taking classes (need 2 either way) 2) If not taking PE sign up for at least 2 semester requirements in 9 th grade. 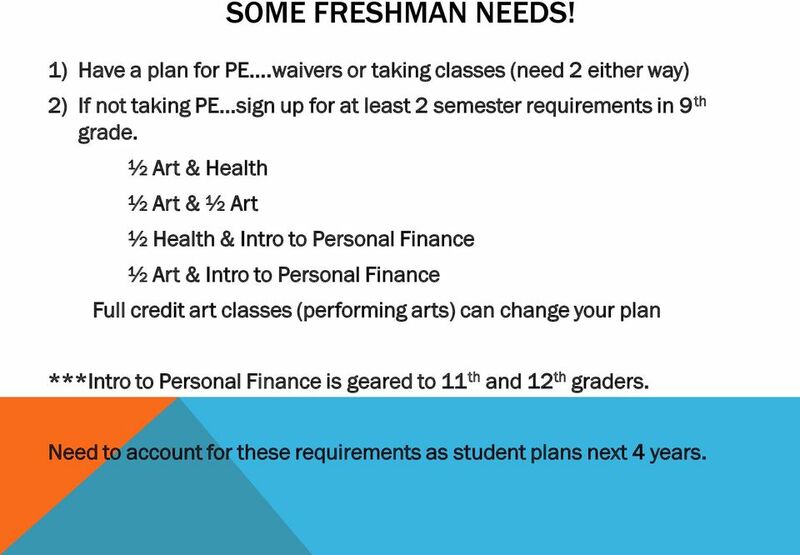 ½ Art & Health ½ Art & ½ Art ½ Health & Intro to Personal Finance ½ Art & Intro to Personal Finance Full credit art classes (performing arts) can change your plan ***Intro to Personal Finance is geared to 11 th and 12 th graders. Need to account for these requirements as student plans next 4 years. 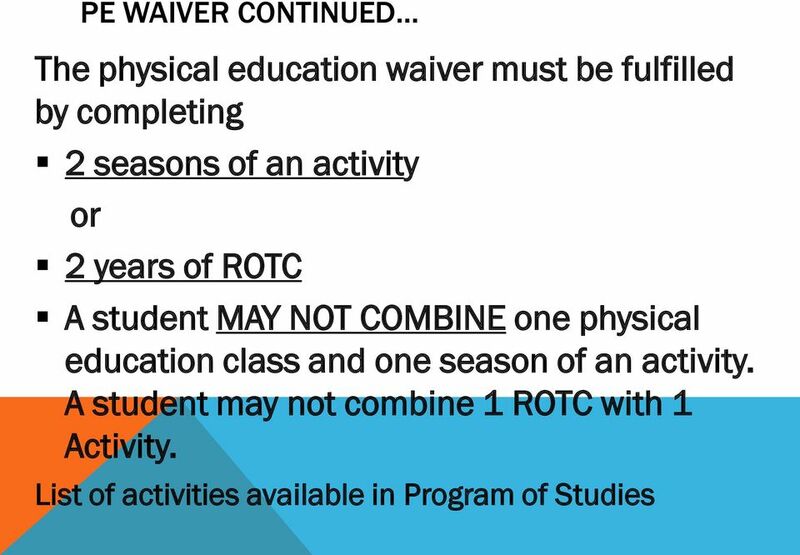 14 To receive a waiver for physical education a student must: 1) complete two activities to receive physical education waiver. 2) complete one activity by end of the junior year. 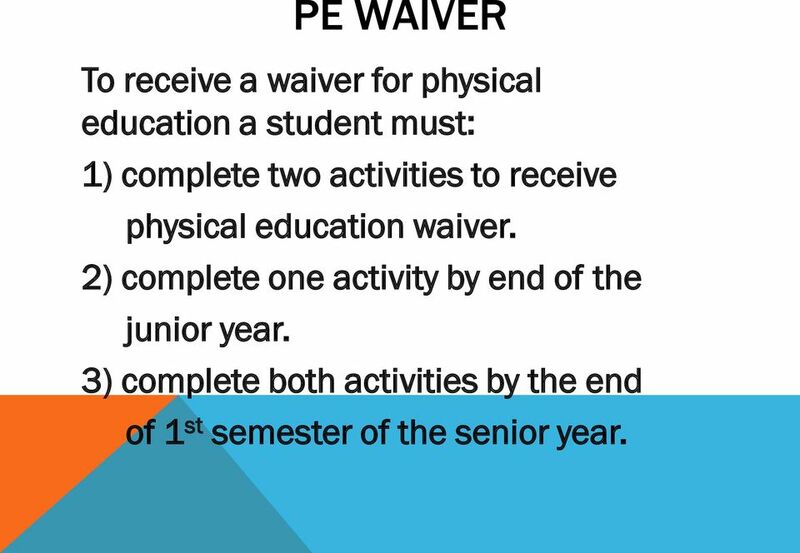 PE WAIVER 3) complete both activities by the end of 1 st semester of the senior year. 19 PROGRAM OF STUDIES Available at: 1. Go to Schools and choose SHS 2. Click on GUIDANCE 3. 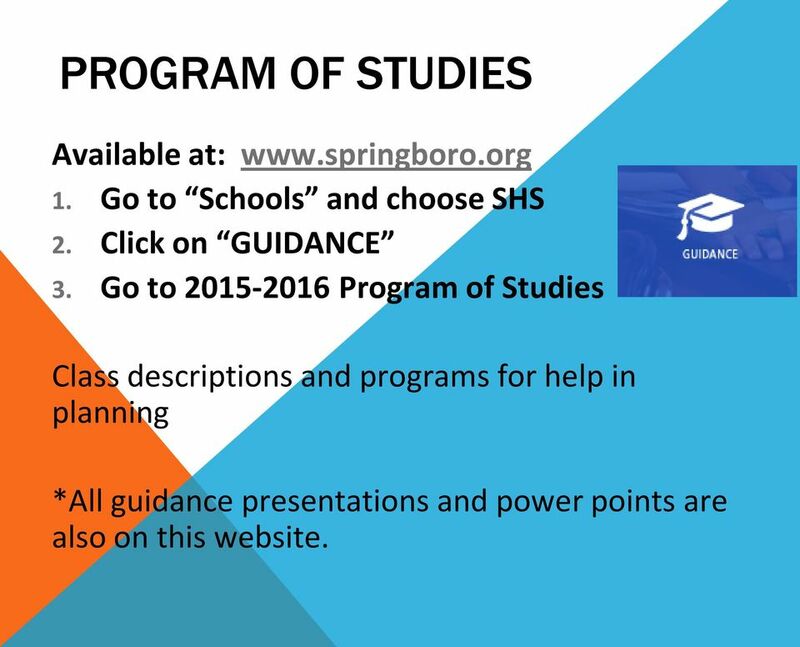 Go to Program of Studies Class descriptions and programs for help in planning *All guidance presentations and power points are also on this website. 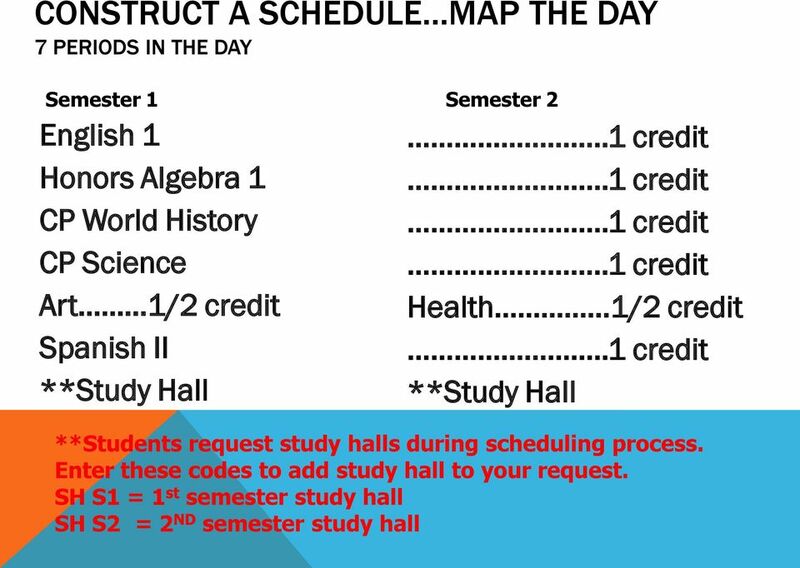 21 ONLINE SCHEDULING DIRECTIONS The Guidance Department has created various power points that guide students step by step through the course request process. 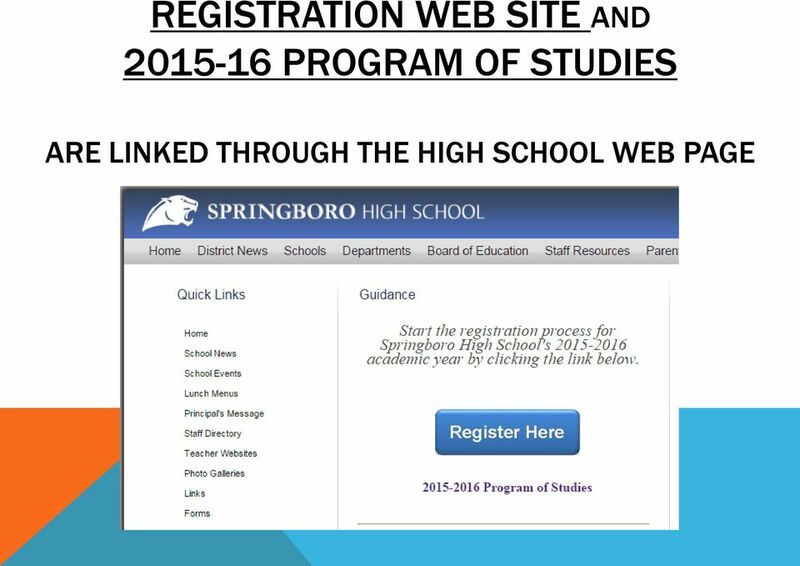 Access these presentations on the Guidance Web Page. 22 ONLINE SCHEDULING DIRECTIONS BRIEF OVERVIEW 1. Go to 2. 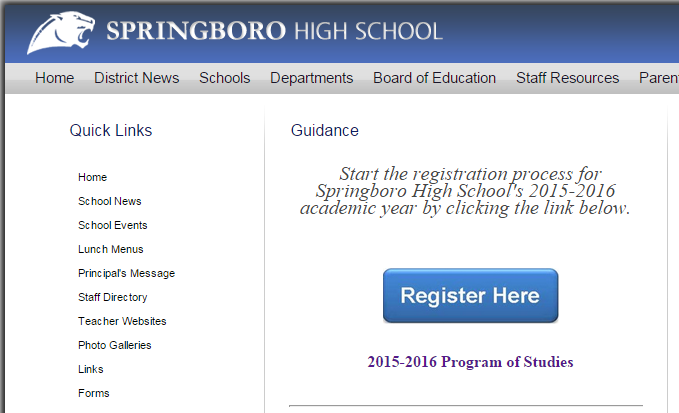 Enter your UserName and Password from the front of this page. 3. Course Requests screen will appear. Navigate the drop down menus to select courses. 4. After Finalizing your list of requests, click the REVIEW REQUESTS button. 5. Once satisfied with your requests, click the SUBMIT REQUESTS button. ***Please note: SUBMIT REQUESTS can only be done once. After submitting, the system will not allow changes to requests. 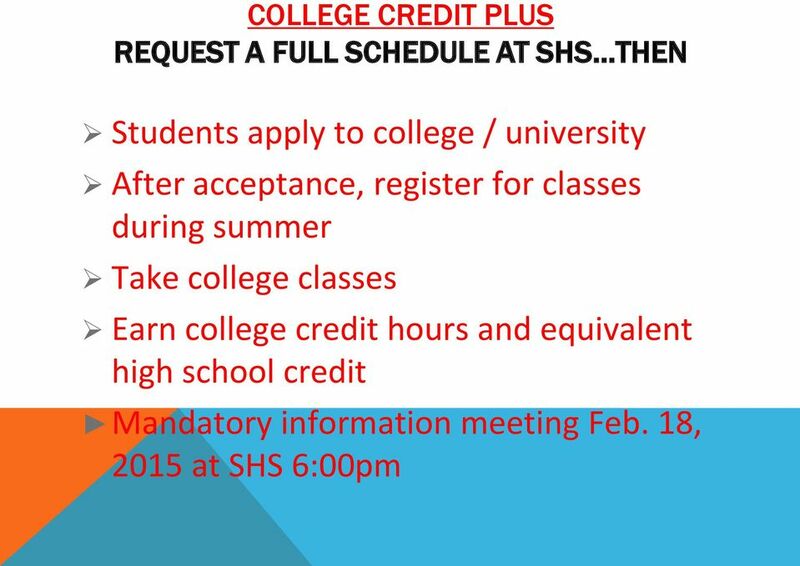 All changes will be done through the guidance counselor. 23 WHAT ARE STUDENTS RECEIVING TOMORROW? 1) Colored log in credentials Online directions Make note of periods, O vs. 0! 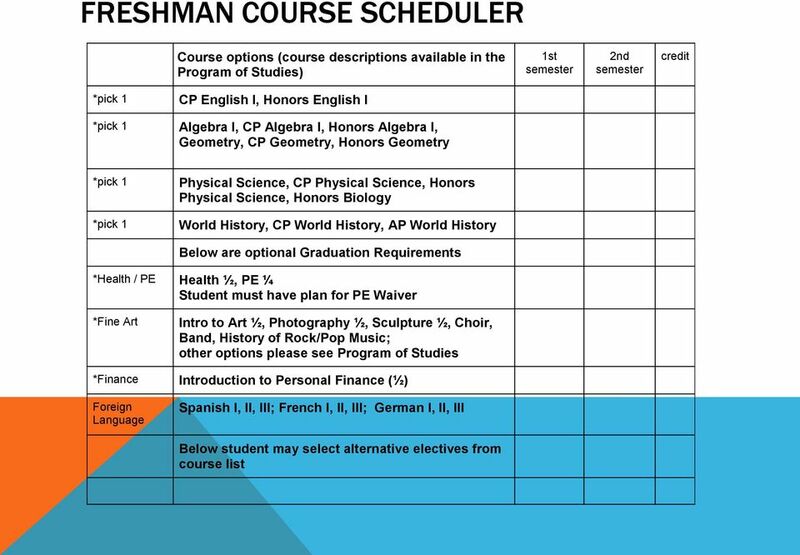 Case sensitive 2) White Course Scheduler Worksheet 2 sided 4 year planner Current year class planner 3) White Course Offerings lists all classes available at SHS. 24 SCHEDULING DATES The on-line scheduler is open until Tuesday, Feb. 17 th at midnight. Return GIS letters to Guidance Office by Wednesday, Feb. 18 th. Student requests will be passed out at Junior High tomorrow morning. Please remember course selections are requests only. 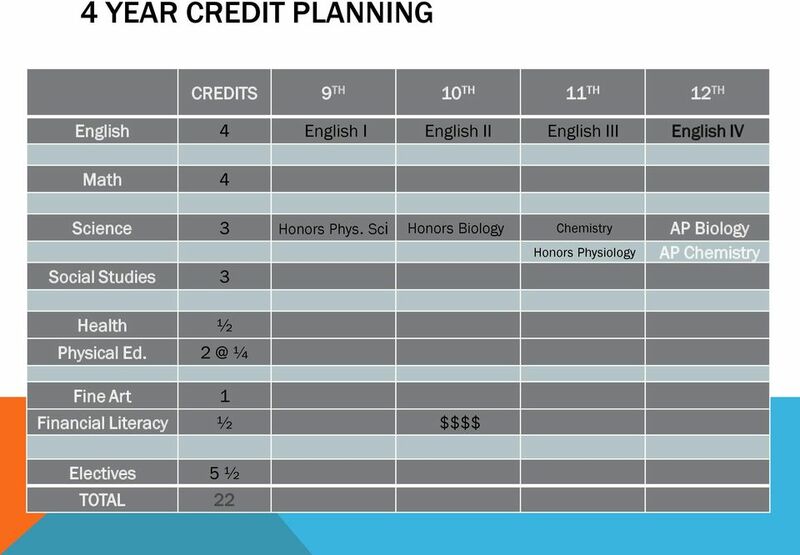 Electives are subject to availability. Only Core Academics are guaranteed. 25 SUMMER SCHOOL Course offerings and dates will be available after Spring Break First come, first served. Fills up quickly! 26 SCHEDULE CHANGES? 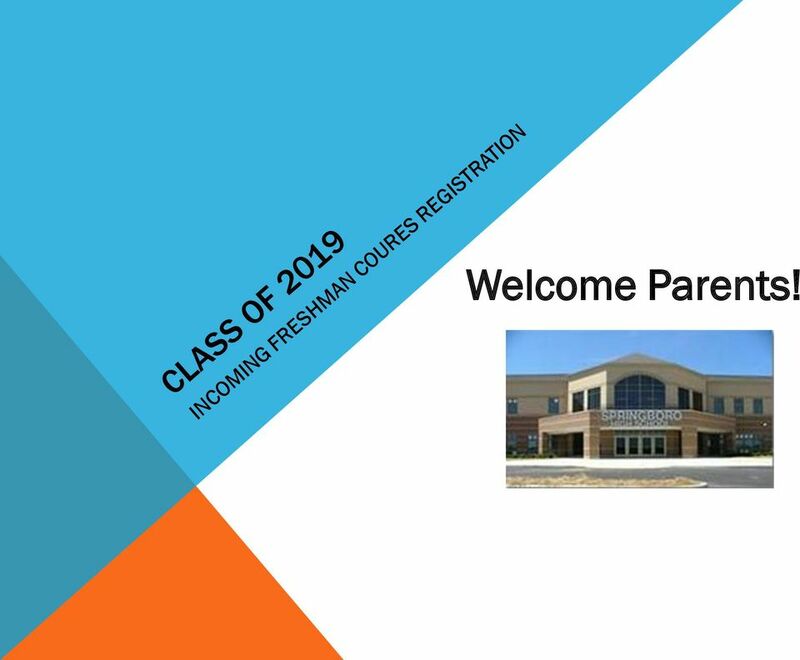 1) Parents and students need to communicate about student goals and expectations 2) Students should consult with parents, teachers, and guidance staff regarding decisions and course selections. 3) NO STUDENT SCHEDULE CHANGES WILL BE MADE AFTER MARCH 31, 2015. 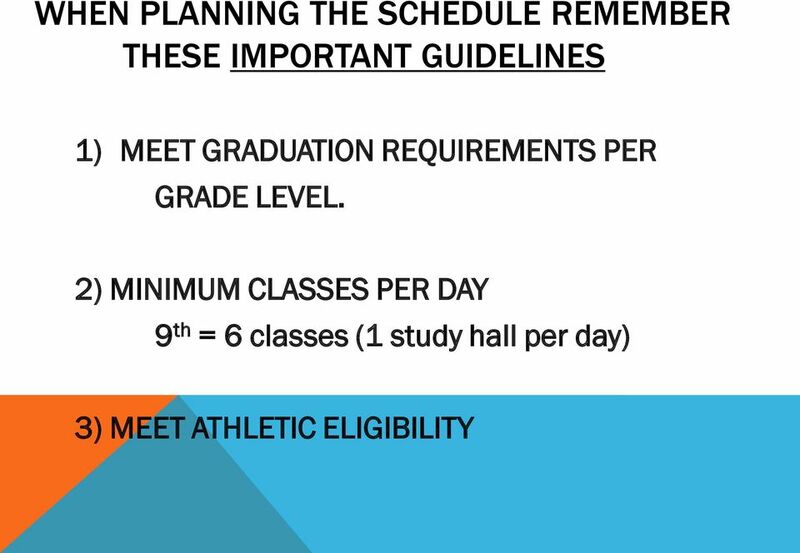 Eastern Regional High School Box 2500 Laurel Oak Road Voorhees, NJ 08043 (856) 784-4441 Curriculum Handbook 2015-2016 BOARD OF EDUCATION (Board of Education meets the third Wednesday of each month.) Mr.